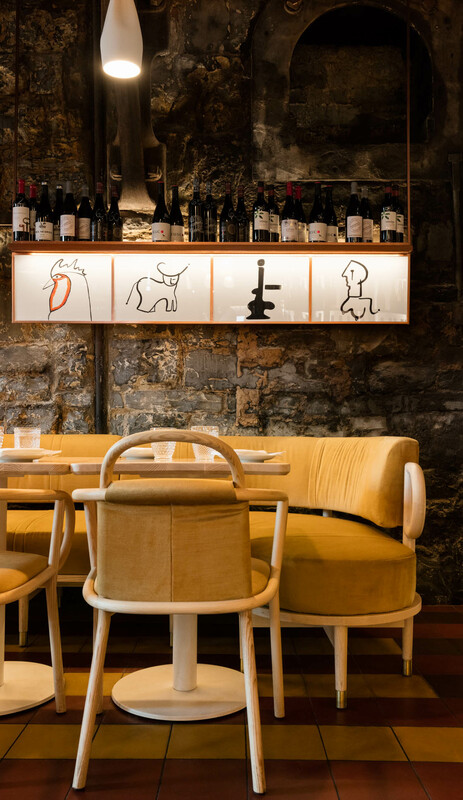 Toronto’s historic Distillery District welcomes a most vivacious culinary destination from prominent restaurateurs Matthew Rosenblatt and John Berman. 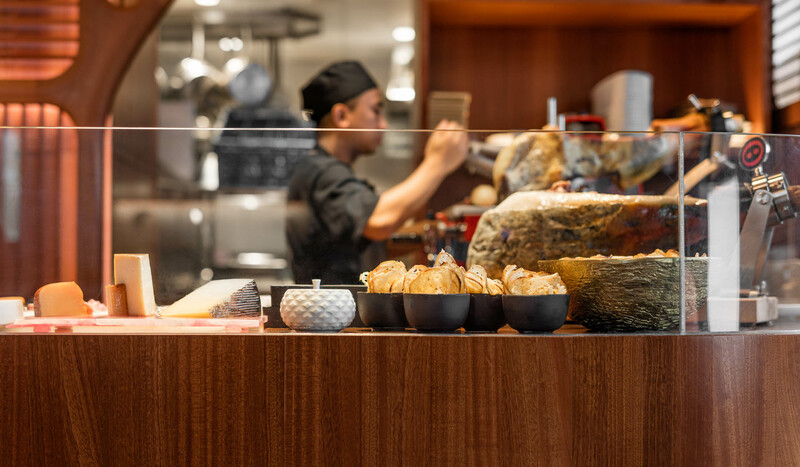 Madrina is infused with Barcelona’s vibrancy offering modern interpretations of classic Iberian small plates. 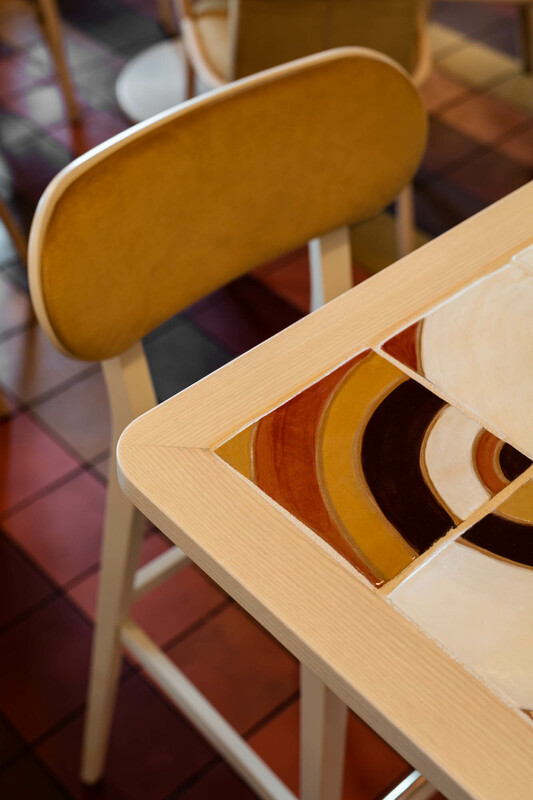 Studio Munge’s bold design inspires a sense of discovery, as patrons embark into a world energized by various shades of red and orange that dance across contrasting graphics and geometric floors. Framed by arched oak doorways, the open kitchen bar moves and pumps as the heart of the dining experience. 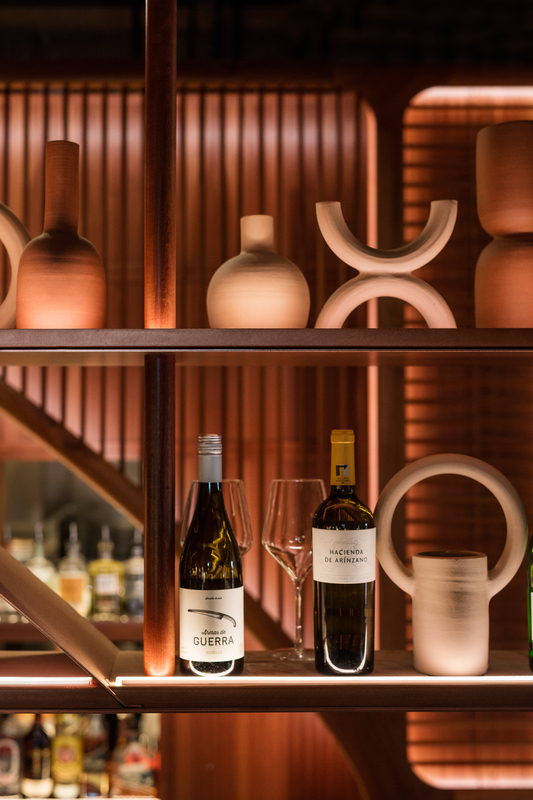 The heritage walls composed of century-old stone create a sense of place while rooting the restaurant in generations of traditional Spanish casita cuisine. 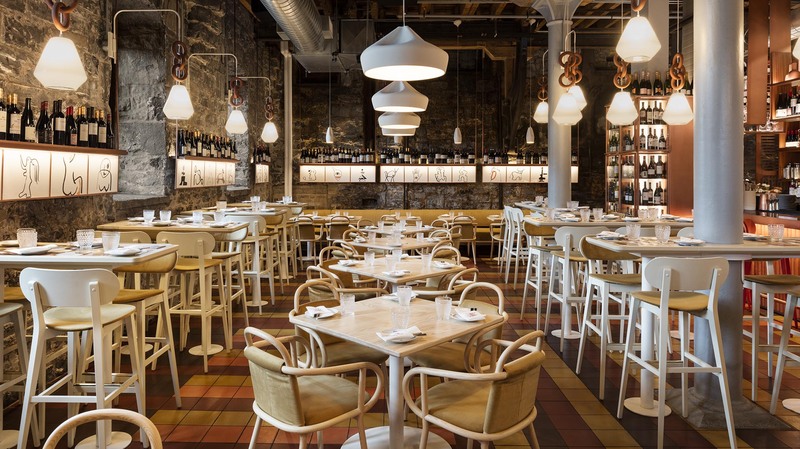 Along-side Studio Munge designed Cluny and El Catrin, Madrina ignites passion and adventure, further defining the once deserted Distillery District as a bustling culinary destination. 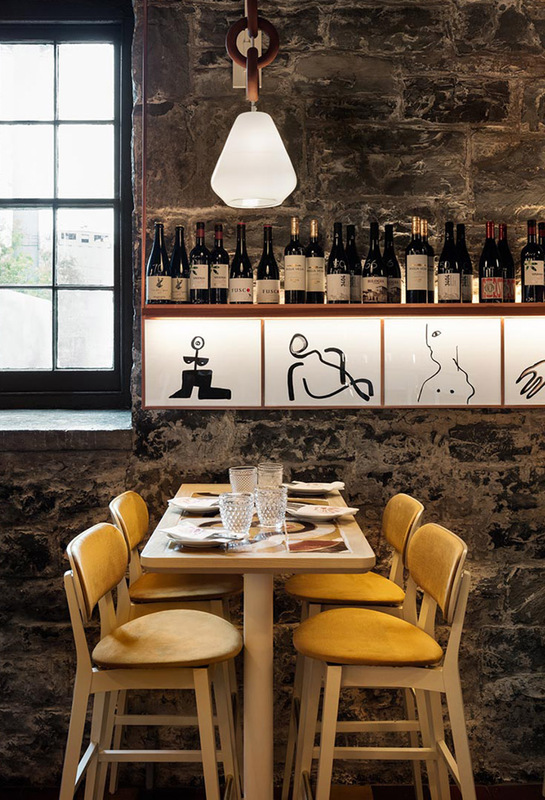 Sitting in a historic cornerstone of the Distillery District's main square, the restaurant fuses old and new by making good use of the century- old Victorian building... 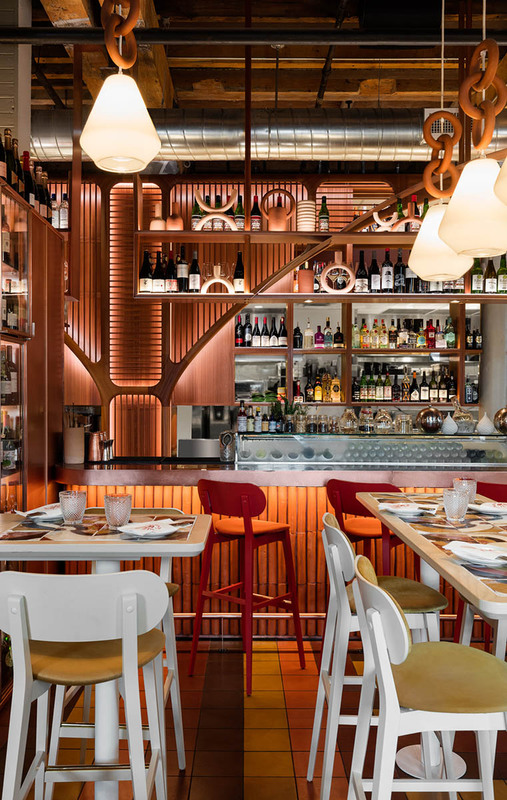 In true Catalan style the interior [serves] equal parts whimsical and class.